Hi, This is fourth update of Micromax A110 Stock Rom V4 Android Jelly Bean 4.1 update. Here is a step by step guide for new update of Micromax A110 Canvas 2 Jelly Bean V4 1.11. This is working same hardware Android device like Cynus T2, Qmobile A10, and A919 Duo. Micromax will release Android 4.4 KitKat update for Micromax Canvas 2 soon. 4. Software is backward compatible with old TP available (BYD Make). 1. TP is changed from BYD to BAOMING. Micromax A110 is superb phone and first popular phone from Micromax side. It has 1GHz Dual core processor with MT6577 chipset. This phone has 512MB of RAM, 4GB inbuilt memory with Android 4.1 Jelly Bean. It has 5MP rear camera and 0.3MP front camera for video chat. This is third update of canvas 2 stock Rom V4 Jelly Bean, previous update was Stock Rom V2 ICS 4.0.4. Now this update your phone with Jelly bean. After update of Micromax A110 Canvas 2 Jelly Bean V4 1.11, you can Root Canvas 2, because root allows for you to use a maximum of your phone without any restrictions. After root you will install custom apps, custom Rom and custom setting in your phone. We already discuss on Root Advantage and Disadvantage by earlier post and we already saw “How to Root Micromax A110 Canvas 2 ” in earlier post. I hope you like this new update of Micromax A110 Canvas 2 Jelly Bean V4 1.11 installation guide from which you will be able to easily install new update of Micromax A110 Canvas 2 Jelly Bean V4 1.11 without any extra efforts. If feel any problem in this guide then please use comment box. Thanks to all. I've installed v17.01.. Everything is fine except gps. Not at all locking. Can you help me. OK if your phone is rooted then i will provide solution of it. I'm using suvi 7 ROM on my MMX a110.pls tell me how can I remove dis ROM n how can install jellybean v3 1.11. Before suvi I'm using jellybean v 1.10. Installed root and CMW/TWRP recovery & Vivid Color? vivid color is true color and this phone is famous of this vivid color…. thnx for the info. but i have to do this all root, etc etc? Is there any difference between flashing this ROM through sp tools or updating via cwm ? this problem was from start.First i had to pair with that device then he is able to send me something.but my device is not found by any device. it mean your Bluetooth hardware is working. 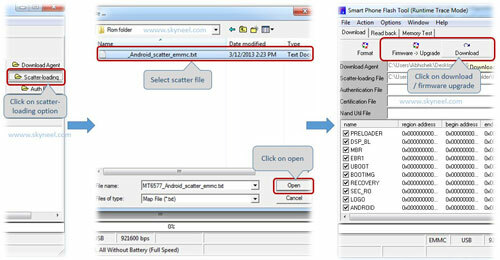 my Bluetooth device micromax a110 is not found by any other device as I am using jb v3 1.11 plz plz help…..!!!! Is there any official JB update by micromax after v3 1.11? And for flashing a whole rom using SP tool, which button should I click after step 3? firmware upgrade or download??? no update came after v3 1.11. Cynus t2 V17.01 in MMX Canvas 2? how can I do it? it will void MMx warranty nah?? why you take a tension about MMx warranty!!! and go service center. how will they know that you use cynus T2? @ Abhishek , after 18.03.2013 MMX also released a new updated verion of JB nah?? if Micromax will release new update then i will post. sorry i was too busy yesterday. SIM slots and surroundings getting heatup while charging and while using the phone after updated to Jellybean V3 1.11.. Does anybody have same problem ? ?Any solutions? Please post battery backup of both ROMS on continue usage like screen,3g,wifi all time on…Comparison should be based on Custom roms and Official JB v3 1.11? My friends told me that Battery draining and wifi issue has been resolved in MMX SVC update .. But here it remains same!!!! But there is problem in bright colors like green,blue and orange it shows florescent and spreaded color not good patch..IS there any other patch which can be used in v3 1.11 in unrooted phones? guys i just want to know is there any dictionary application for android to search meaning for words in anyother application by just giving one click on it? like wordweb in desktop.. getting meaning by giving ctrl+right click..
anyone here flashed 1.11 using sp tools? in my mobile FIFA 12 has multi color grass issue.. in jelly bean i couldnt install chainfire 3D to remove it.. is there any other option to play FIFA 12 in A110 smoothly? There are lag issues in v3 1.11 and battery drains at equal speed.Touch senstivity is better in 1.10 than v3 1.11! Screen resolution is same no change! I bet this is not MMX version because 1.1 seems better overall than v3 1.11! After upgrading to JB, my phone got drained after 4 to 5 hours of music in night. But I went to sleep before it went dead or 100% drained.Morning was the issue it was not chargingout. I know this was the known issue reported in xda-developers website but nosolution for a guy who was repeatedly asking solution for it. So here comes the solution. 1. Remove your battery once and fit it back. 2. Plug you charger cable from adaptor to phone. Guys Ian not sure about usb cable users. 3. Press the power button for more than 5 to 10 seconds. You will get a battery icon but the charge will not show as it charging. 4. Don't leave the power button immediately. 5. Hold it continuously for 3 to 4 mins. Thebattery icon will flicker till that point. 6. After this the boot logo will come. Once it comes, your mobile will start charging.Good luck guys. means for updating in JB we have 2 follow either STEP : Installation update With SP-tool by PC pr STEP :Installation update with CWM/TWRP ?? 1s 1 is easy nah? I have 4mbps connection but seems some problem with DNS issue WITH Bsnl broadband.. If anybody has other link please post except this??? If the installation remains or stuck at 2% while updating thr' SPtool method, what could be the reason? ?..please elaborate in detail. and finally which rom v3 or new V2 1.11..?? Is this better to update or remain on older updates If any please post the differences between old V3 and new v2 1.11..
What is TP is changed from BYD to BAOMING? I have installed Vivid color patch on old rom v3 but that doesn't look good,Colors seems spreaded..
Can u post ANTUTU score? Is this jellybean version V3 1.11 official or modified jellybean rom .Should i download this version .what is the battery backup of this rom any improvements compare to previous v3 1.10.
battery is quite batter then previous v3 1.10. I have already updated my phone to V3 1.11 using CWM recovery.. i hope that is offical Jellybean version.. then i installed that vivid color files.. now my phone is rooted.. so please provide me some links of any important application / modification that i can install in my rooted phone.. thanks. But raju Im getting downlaod time 1 day on 4mbps connection.. Does chemicalrage uploaded zip void warranty? Paplu3 site not opening and chemicalrage link has a crap speed..It will take a day to download from this server!!! Link for SP flashable FB ROM. r u unable to upload flash able file? unable to upload flash able file, issue site password!!! Sorry for that Abhishek this is just annoying to me a bit.. Thanks alot you are doing a great job man..! Follow the Steps mentioned below:- 1.Make sure battery is at 100% and then Leave it on charge for 15 minutes. 3.Then go to advanced in then wipe battery status. 5.It will show you somewhere 97%. @lal Bahadur IS this possible in ROOTED phones only? This is just bizarre and stupid! Guys CWM zip is just ROM not whole firmware upgrade. The SPTool flashable rar includes new base band and new stock recovery and whole other core firmware files..
this mean if someone from V1 tries to upgrade he won't get all of the goodies..
that stupid xda person who set this news is just a micromax employee he spread the rumor so that people will run to SVC..
fucck.. why the hell somebody with FTP access upload the whole firmware upgrade file..
guys this is why they changed the FTP pass ..
to make us go to there shitwhole service centers and waste some cash and our effort..
because my friend is working in Micromax service center. so it may be true and he told me on FTP site password matter it changed because lots of site give update but not give proper update method and they make mistake, so that increase number dead & not working phone for service center and all of set in warranty. FTP made problem for micromax so they change password. i phone is unrooted.. can i install provided JB directly.. when to install CWM/TWRP recovery..
plz tell me the installation steps in detail.. i couldnt understand from step 3…. When u will b able to provide the flasheble (18-03-2013) jb v3 1.11 ? Can you pls post original file ? instead of CWM ? How to update by using SP Tool?